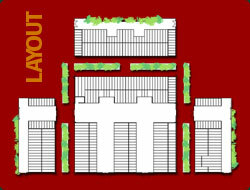 Our chapel mausoleum offers the assurance of above ground, dry, ventilated entombment. The rich colored marble, imported from Italy and honed to a satin finish gives a friendly feeling of warmth and comfort. The mausoleum is scientifically designed and built by nationally known mausoleum experts using the most enduring materials. Here your memories are enshrined and your family name honored for all time. is for the individual whose pre-planned final arrangements include mausoleum entombment. Contrary to popular belief, mausoleum entombment is often comparable in price to in-ground burial. This little-known fact, paired with the decidedly numerous advantages mausoleums provide, have made The Personal Tribute a popular choice among singles for decades. also for the couple, the deceased are placed in separate crypts (side by side). is for the couple whose pre-planned final arrangements include mausoleum entombment. It places the deceased in the same crypt (head to head). this is the perfect solution for a couple when one member prefers the idea of mausoleum entombment, while the other prefers the idea of cremation. 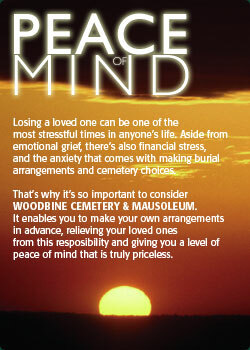 By placing the remains of one person inside the mausoleum with their beloved, each person’s individual wishes are met.